to create your own badass style! "Established in 2009, Vanessa Mooney is a product of all things creative and built on musings of its namesake founder. The brand exists as an eclectic muse that draws influence from a multitude of eras, revolutions, and walks of life. From vintage nostalgia to sophisticated simplicity. Vanessa Mooney collections are all about expressions. They are unadulterated and uninhibited. Filled with statement earrings, strong forms, bold and interesting shapes, gold and silver multi-chain necklaces, semi-precious stones, and symbolic symbols like crosses and hearts. This brand is for every woman - regardless of style and influence, she can find herself within the Mooney aesthetic. Jewelry for lovers. 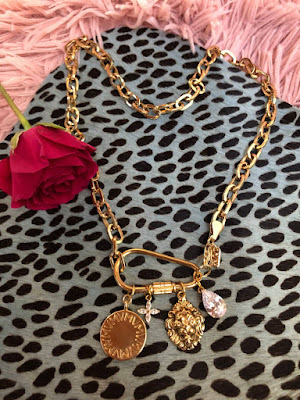 Dreamed up, designed and handmade in sunny L.A."
The name suggests it and we're feelin' it -- very royal in this one. Throw this on with any outfit to dress up and live your life in ultimate decadence. Crafted with a thick link chain, oval twist closure connector, and charms including a round stamped VM logo coin, a small crystal CZ flower, a regal lion's head, and a crystal CZ teardrop. Also, available in silver, and made with high quality 24K gold plated brass, you don't want to sleep on this one! 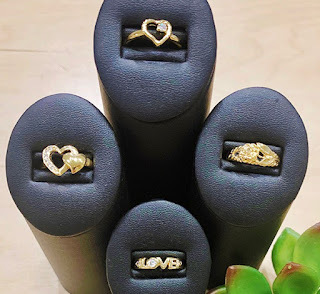 All made with 24k gold plated brass, these classic rings bring a little love to your style. Don't actually wear safety pins in your ears, we've got the Danza Earrings!! A little bit punk, a little bit girly, the Danza Safety Pin Earrings are the perfect mix of sassy and classy. Features an oversized safety pin charms dangling from rounded stud post earrings. Nailed it. The Gold Large Cecilia Hoops are a large sized hoop with a post style fastening and nail inspired detailing on back. Lightweight and perfect for all day everyday wear. 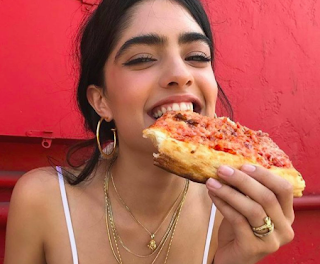 You'll be reaching for these classic, staple hoop earrings more than you think! 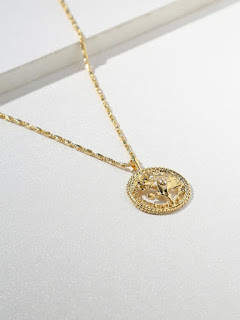 The Gold Rossa Charm Necklace features an elegant rounded link chain with a circular pendant with cut out detailing and a rose in the middle. This necklace is the perfect layering piece and looks bomb layered with more gold jewelry and chokers. 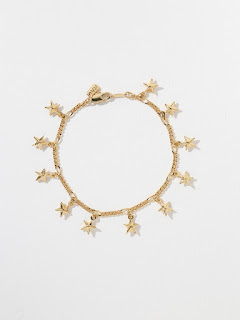 The Solstice Chain and Bracelet are sure to leave you starry eyed. 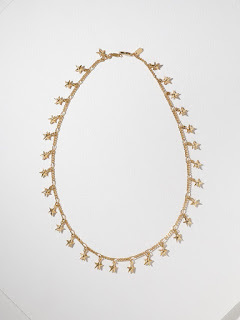 Featuring a dainty link chain with dangling star charms and finished with a classic lobster clasp closure. We're loving these pieces to add a touch of feminism and edge to every outfit. There are so many ways to wear these fun pieces. We want to see how you're wearing it!! Tag us on Instagram from a chance to be featured on our page!